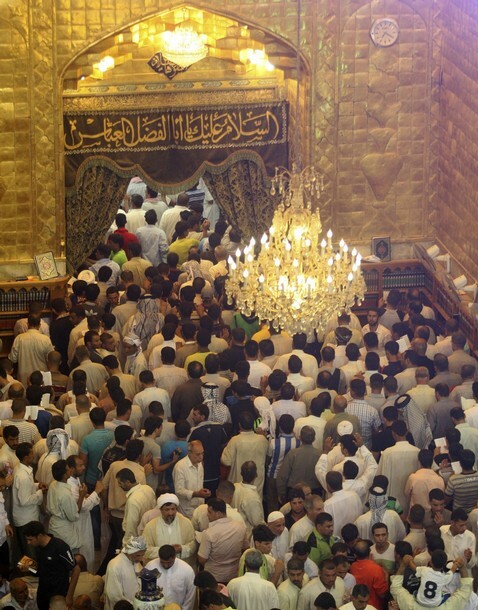 Shi’ite Muslims visit (go to ) Imam Abbas Shrine in the Sha’abaniya pilgrimage in Kerbala, 90 km (57 miles) southwest of Baghdad This summer, 2011. Sha’abaniya is really a ritual marking the birth of Imam ( al-Mehdi ), a adored figure in Shi’ite Islam. Image taken July 17, 2011.